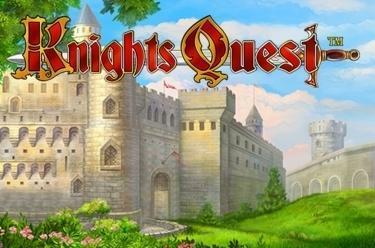 Play Knights Quest™ online for free now! Embark on a journey to the middle ages! 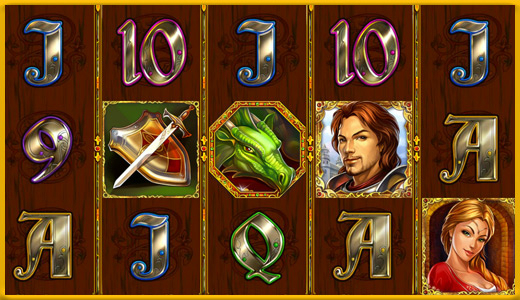 An exciting adventure awaits you in this 5-reel-slot with 20 win lines. Increase your Twist numbers in action-packed feature games where you will lead knights to the castle and the jester juggles your winnings into dizzying heights - or let luck pamper you in the Free Game! You will see: your bold action will be rewarded! Your aim is to land 5 identical symbols along a win line. All win lines run in different patterns from left to right across the reels. To win you have to land the minimum number of identical symbols from the left side by side without interruption on a win line. The Jester symbol (Joker) can be used as a substitute for all symbols except Dragons and Scrolls. 3 or more Scatter symbols (Dragons) in any position start the mini feature. Select one of the Dragon symbols displayed to uncover a different bonus win! Travel to the Castle: Accompany the knight on a quest for his glory and your riches on the way to the castle. Spin the wheel of fortune and multiply your winnings with a bit of luck in this feature. The Juggling Jester: Watch the jester as he juggles - will he keep the ball which holds the greatest winnings in his hands?